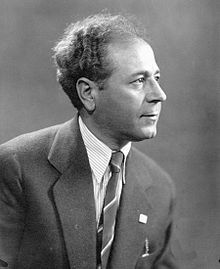 On this date in 1949, Lebanese writer and political leader Antoun Saadeh was shot following a failed coup by his Syrian Social Nationalist Party. Born to a globetrotting journalist, the young polyglot Saadeh was living abroad in Brazil when his native Lebanon fell from the collapsing Ottoman Empire into French hands. He returned in 1930 to Lebanon an irredentist on the make and churned out a prodigious literary output: fiction, newspaper stories, political pamphlets. It was his vision for a “Greater Syria” that would define the man’s legacy, and cause his death. In 1932 he secretly founded the Syrian Social Nationalist Party to advocate for a vast Syrian state encompassing what now comprise Syria, Lebanon, Jordan, and Israel/Palestine. At its most ambitious this prospective state dreamt itself inscribed upon the whole Fertile Crescent from the Tauras Mountains to the Persian Gulf. The SSNP still exists in Syria and Lebanon to this day, but it was a big cheese in the French Mandate by the late 1930s — when the imminent end of colonialism put the future shape of the entire region into question. Saadeh, harried by French authorities who had clapped him in prison a couple of times, emigrated to Argentina and carried on the struggle through exile publications. But his pan-Syria idea was distinctly at odds with what had happened on the ground. Whatever the colonial roots of the borders that had been set down, they defined not only zones on a map but elites with an interest in their maintenance. Lebanon’s founding “National Pact” arrangement among Christians and Muslims also committed all involved to Lebanon as an independent state not to merge with Syria. So despite (or rather because of) Saadeh’s popularity, the SSNP faced renewed crackdowns in 1948. Revolutionaries, reformers, and pan-Arabist types were surging throughout the region thanks to the distressingly shabby performance of Arab armies in their 1948 war to strangle Israel in its crib. (Lebanon fielded only a tiny force in this fight which also won no laurels; instead, Israel began its long tradition of occupying southern Lebanon.) Saadeh was certainly alarmed by the birth of a Zionist state so inimical to his own programme; “Our struggle with the enemy is not a struggle for borders but for existence,” he declared in 1948. On July 4, 1949, the SSNP put its muscle to the test by attempting to seize state power in Lebanon — and disastrously failed. Saadeh had traveled to Damascus hoping to gain the support of the Syrian military dictator Husni al-Za’im;* instead, al-Za’im simply handed Saadeh right back to Lebanese authorities who had him tried in secret and swiftly executed. * A gentleman who would himself be overthrown and executed just a few weeks hence.